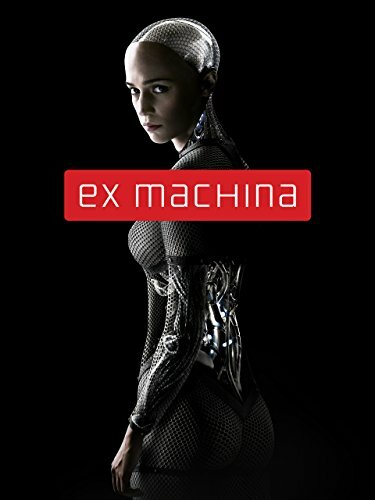 Get the film Ex Machina or buy the book Ex Machina cheaply from Amazon. You too can earn money from writing articles by signing up for InfoBarrel. In Ex Machina, a computer programmer, Caleb (Domhnall Gleeson), wins the staff lottery at his company, the prize for which is to spend a week with the company's boss, Nathan (Oscar Isaac, Drive, Star Wars: The Force Awakens, X-Men: Apocalypse), and the latter's remote house. The company is Bluebook, the world's largest search engine with a market share that would make Google drool. There is what could be considered to be a subtle dig at Google - the company isn't mentioned by name, only a general reference to Bluebook's, presumably now former, competitors - about how the competitors made a mistake by simply focussing on how to make money from their users (and missing the true benefits), which is something that Google does seem inclined to be mainly after. Like Google, Bluebook seems to have diversified out into other technologies following its success. 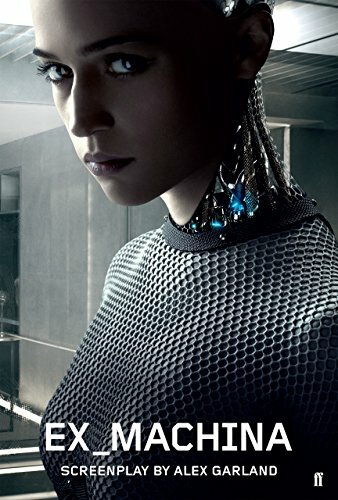 Credit: http://en.wikipedia.org/wiki/Ex_Machina_%28film%29#mediaviewer/File:Ex_Machina_film_poster.pngNathan, Bluebook's founder, who is presumably very rich and a former child prodigy when it came to coding, lives in isolation in a highly secure house on a vast estate. Most doors in the house need a key card to open. When the power fails, no door can be opened. Nathan wants Caleb to essentially run a modified Turing Test on Ava (Alicia Vikander, Jason Bourne, The Man From U.N.C.L.E.). The Turing Test is named after British mathematician and computer pioneer Alan Turing and at its most simple is a test whereby a machine's answers to questions are compared to what a human would respond. Essentially, to see if the machine is indistinguishable from a human, and therefore an AI, an Artificial Intelligence. Nathan's house is not merely a house but a research facility. Before Caleb even finds out about Ava, and after he's show to his underground room which looks more like a hotel room in a middle of the range hotel than anything else - he has to sign a very binding Non Disclosure Agreement. Nathan hasn't built his AI in a box, but instead in an actual body - for reasons which are explained in the film and some that can be inferred. The body is obviously mechanical, as only her - and it's definitely a her - face, hands and feet have actual artificial skin. The rest is either transparent, allowing the mechanisms inside to be seen, or covered in another fabric. Ava warns Caleb about Nathan's intentions, saying that the latter cannot be trusted. Some things that crop up suggest that the lottery which Caleb won may not have been as random as he thought. Nathan himself is rather erratic; he's frequently drunk to the extent that he seems an alcoholic, manipulative and possibly not a nice person. Caleb and Ava seem to develop a relationship, and he seems attracted to her, despite her being a machine. So, is she intelligent, or merely very well programmed? How can he tell? There is a lot of talking in this film, which is occasionally quite technical. The cast, such as it is - there are only four main characters and one of those, Kyoko (Sonoya Mizuno), doesn't say a word and has a much smaller role, everyone else is bit parts - is not that well known (Gleeson played a Weasley in the Harry Potter films and the lead in About Time, and Isaac Prince John in Robin Hood, and those are probably the largest roles), which means that there is not much chance of them detracting from the actual story. With the sheer amount of dialogue, how the character's interact with each other is important, and they do so well. There are two main pairings, Nathan and Caleb and Caleb and Ava, and these do seem natural and believable interactions. What the film seems to be about is fear. Fear of AIs, fear of what they may do, fear of what search engines and technology companies are doing with the data they are collecting from all who use them. Some can be inferred by the conversations about how Nathan has used Bluebook, Others are more implicitly suggested. The fear of AIs is not a new fear. The fear of AI - or, rather, the fear of our constructs turning against us - predates the concept of Artificial Intelligence by some time, although it does seem to be increasing in recent years, perhaps because, as Nathan says in the film, it's becoming not so much a case of if but when AI is created. After all, the definition of a true AI is a machine that can pass as human and, considering how poorly humans often behave, is creating something that is like us really such a desirable goal? Can Caleb trust either Ava or Nathan? Is she genuinely showing human emotions, or is she just faking them? Is the ability to fake an emotion proof of true AI anyway? Ex Machina is a film that needs thinking about, rather than just parking your brain, but it is an enjoyable, and occasionally disturbing, film about the probably not-too-distant future, with a rather interesting ending. I haven't watched the film yet. I saw the trailer and it looked interesting. AIs are indeed scary. They might take the place of humans in job positions and that's a threat (among many other threats) to human livelihood. Great review. Thanks! I saw a clip of Stephen Hawking "saying" that AIs could mark the extinction of the human race. That could well be a possibility.